Democrats took over in Roselle Park with a more malleable mayor and the first order of business was to funnel more money to Democrat politicians. 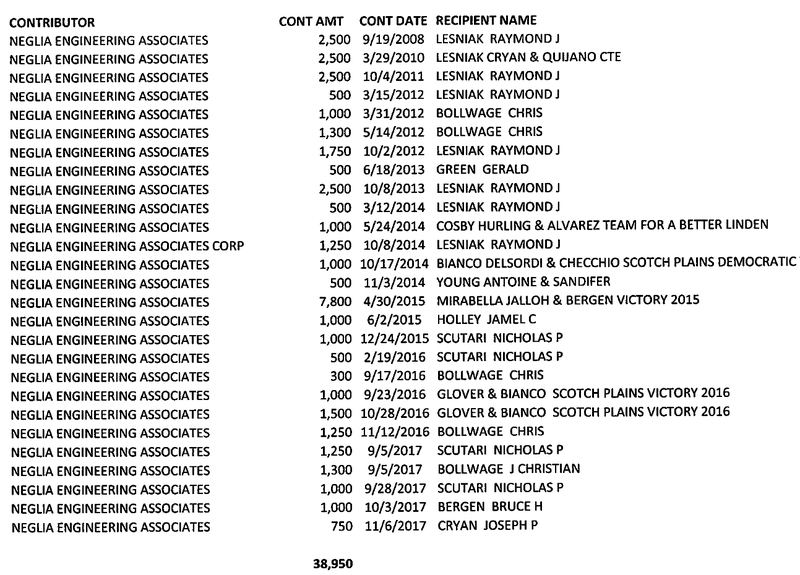 [Republican Councilman and former mayor Joseph] DeIorio noted that the biggest difference between contributions under the old limit and what the state allows is for county political organizations, which can now receive up to $37,000 from donors doing business with Roselle Park for each election cycle, up from just $200. 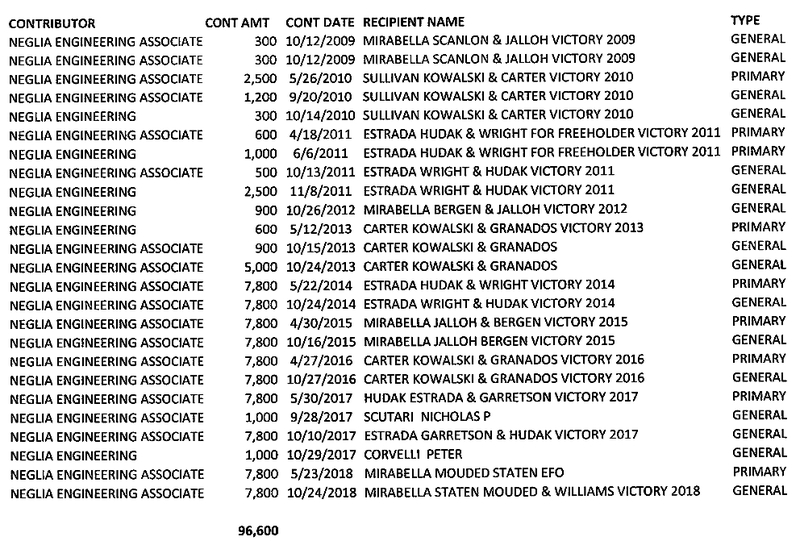 “The most money you can donate is to the county,” DeIorio said, adding that the amounts now at stake make will make it all too tempting for county party officials — who can make or break the careers of local politicians — to influence municipal contract decisions. That notion was dismissed by both Signorello and Union County’s Democratic chairman, state Sen. Nicholas Scutari, D-22nd Dist. Both said the issue had never been discussed, and while Scutari acknowledged that lifting Roselle Park’s contribution limit could indeed boost the county party’s fundraising, he said it would not lead him or his organization to pressure municipal officials to award contracts to certain donors. So who makes out with this in Roselle Park? So what else is new? This is business as usual in the most corrupt State in the Union.